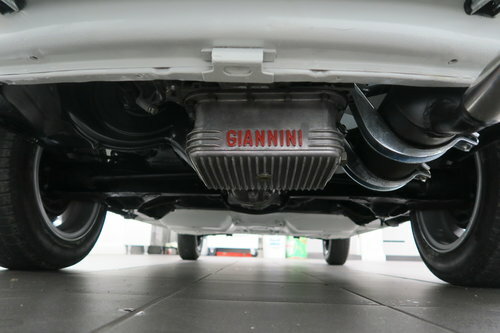 The FIAT 500 Giannini is the pinnacle of the 500 range it incorporates various performance enhancements made by Giannini. Giannini founded in 1920 by the Giannini brothers - Attilio and Domenico - the company began tuning the little FIAT 500 Topolino in the 1930's and secured 12 world speed records with one of it’s modified cars. Back in the day Giannini raced against Abarth, Of which Giannini were more successful racing. 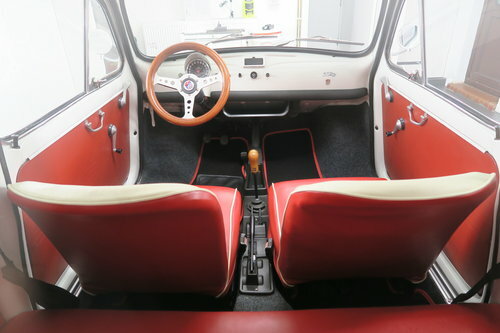 My highly collectible Ultra Rare Giannini 500 TV (Turismo Veloce) was manufactured in Fiat Mirafiori plant Turin, Italy during February 1970 and first registered in April 1970 in Italy. 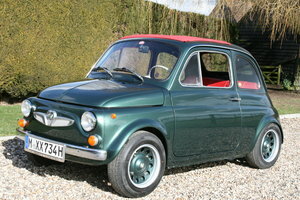 High quality restoration, it is fully UK registered in my own name it is MOT’d. Although Not required by DVLA as it is now exempt. Road Tax Exempt, Historic Vehicle. Owning this car is very special indeed which will certainly make you stand out from the crowd. You will not be short of friends when you own this car. 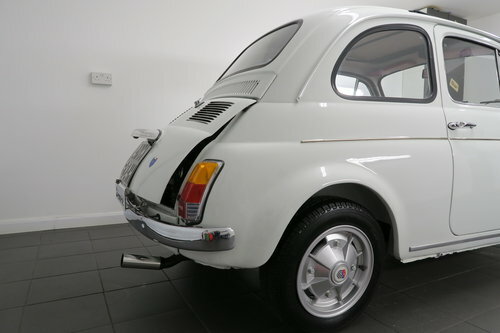 It is finished in Fiat White (Bianco 233) The 499cc produces around 27 bhp That's 10bhp more than the original basic model, thanks to the Giannini modifications which included a modified cylinder head and camshaft, special exhaust and a Weber carburettor. 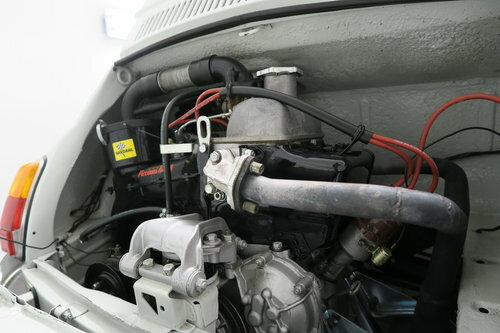 My car is a Show Car, having been displayed at many classic shows throughout Cheshire. Even after it's restoration It still retains mostly all original parts, including it's wheels, the restoration has complimented this fantastic classic tremendously. This authentic Giannani is now very collectible and rare. You will not find another like mine. a TRUE collectors classic. I have the original Italian Documents showing the Giannini pedigree and logbook stating it's an authentic Giannini. You will be amazed how beautiful this little car is in the flesh. When I purchased the car originally, I purchased it directly from the original owner and met him and his Family. 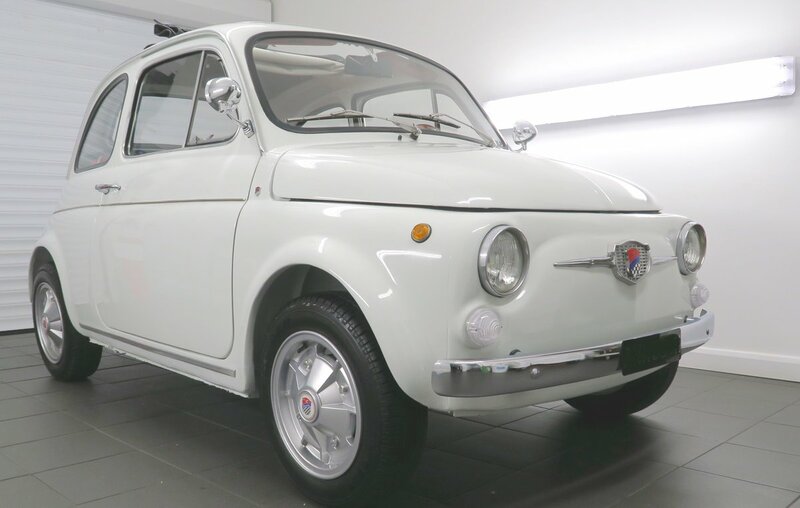 If your looking for a Show car or to experience the ownership of this Iconic 500 then now's your chance to get you hands on a very fine example. If you have questions please call to discuss. 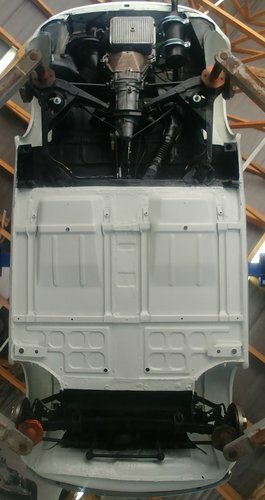 I will be happy to discuss my car.